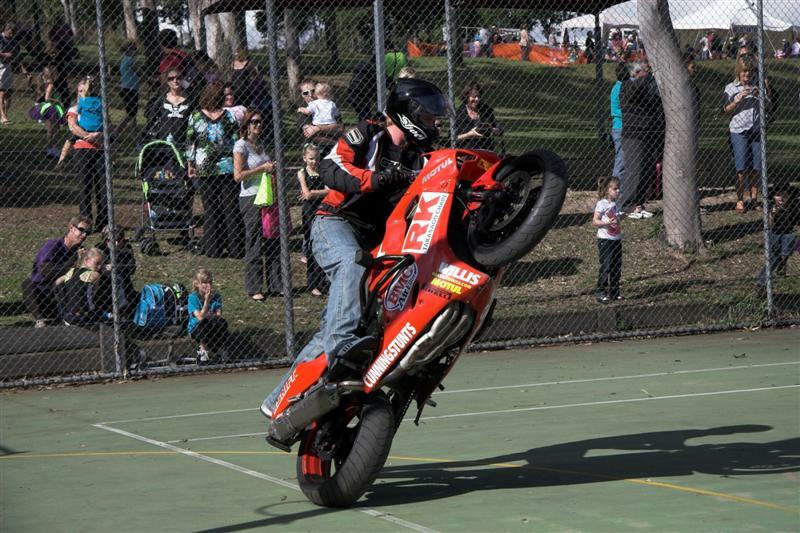 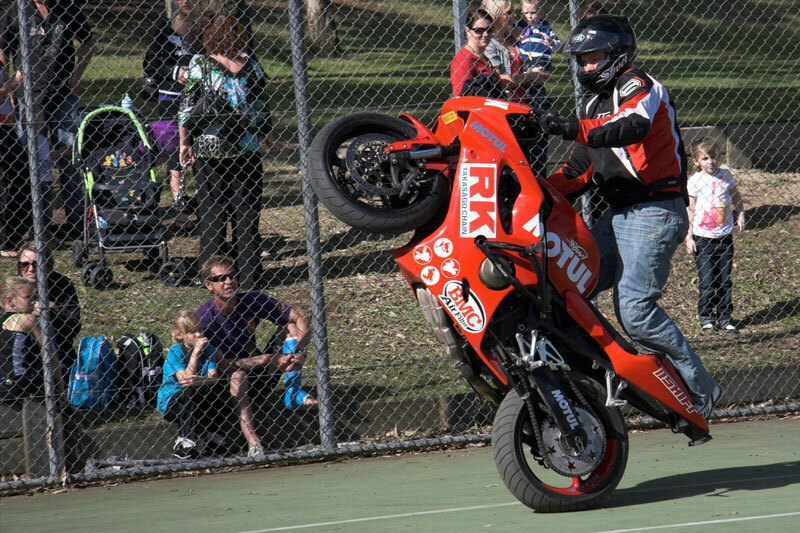 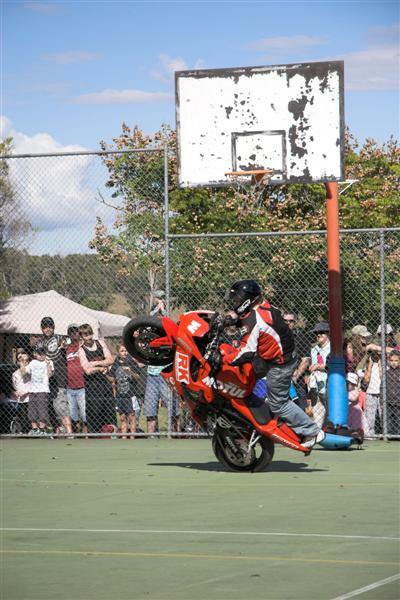 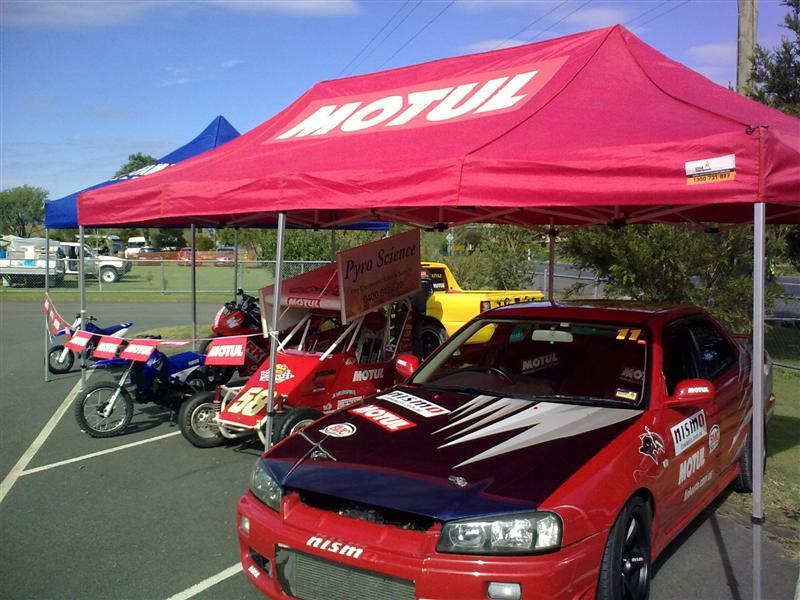 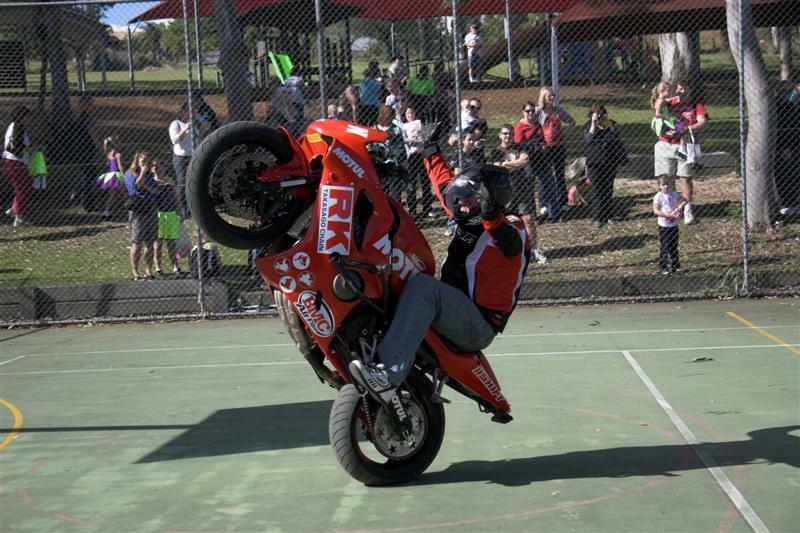 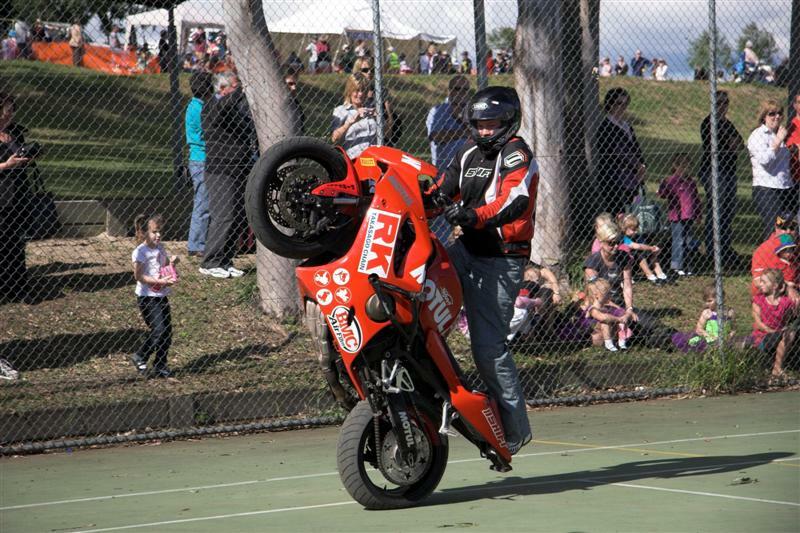 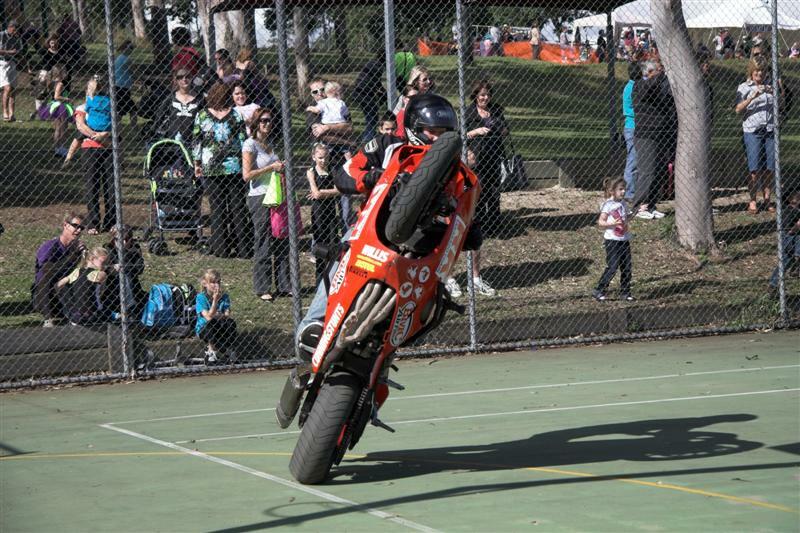 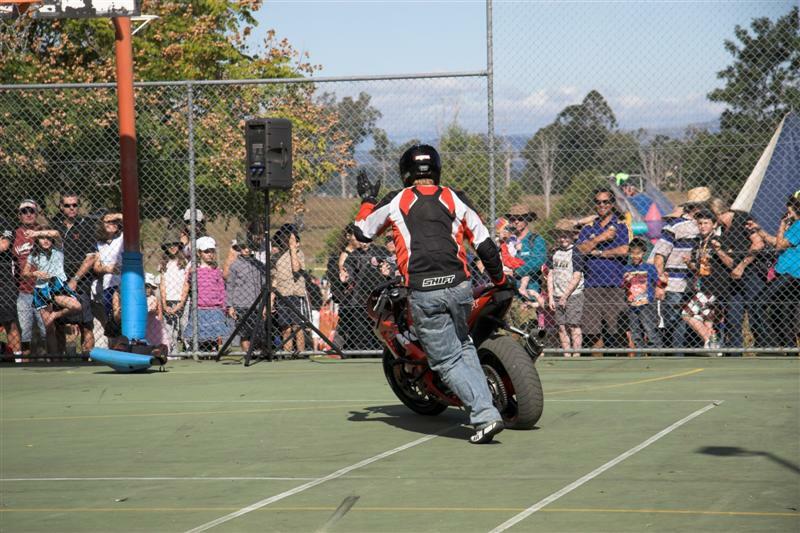 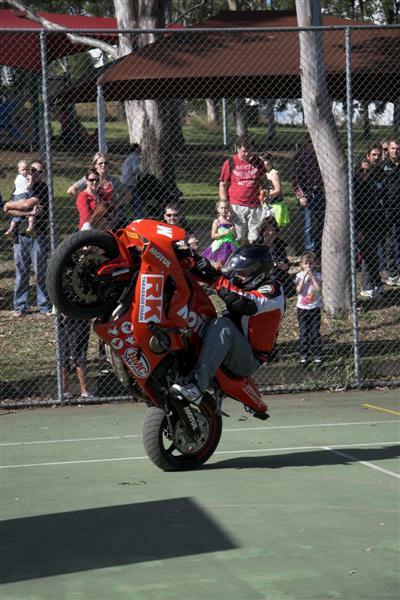 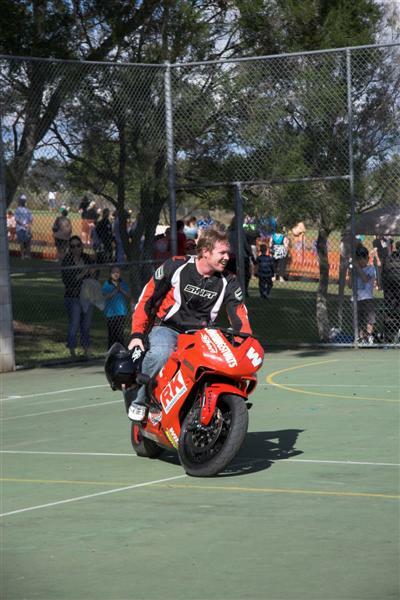 Willis from Team CUNNINGSTUNTS gave up his weekend putting on a professional stunt display for charity at Jimboomba State School. 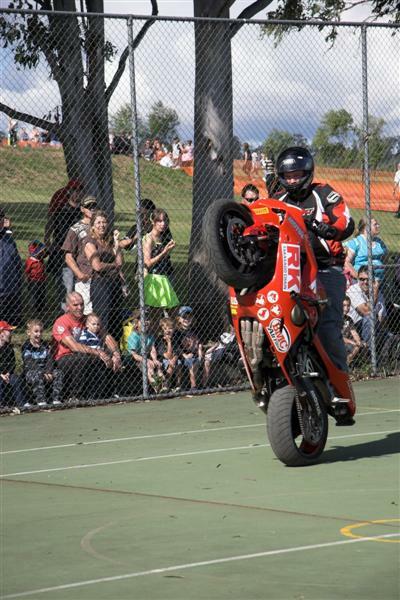 With only a very small area to work with, Willis still managed to put on a good show for the crowd. 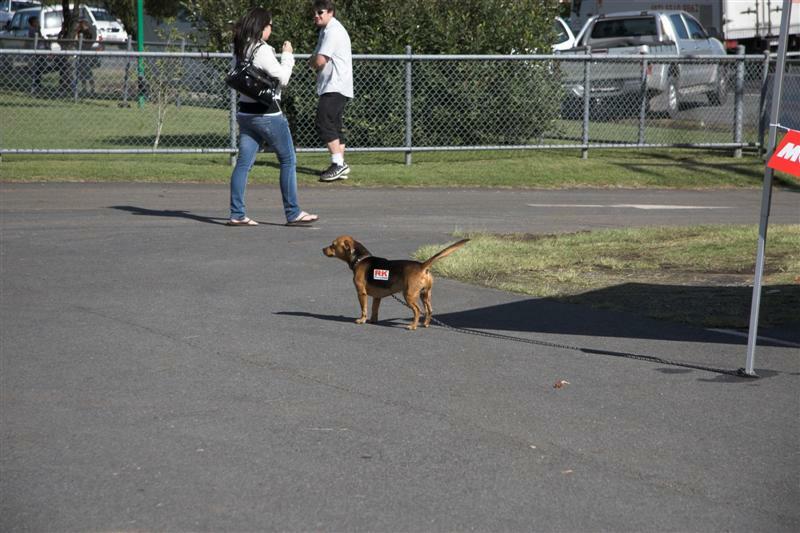 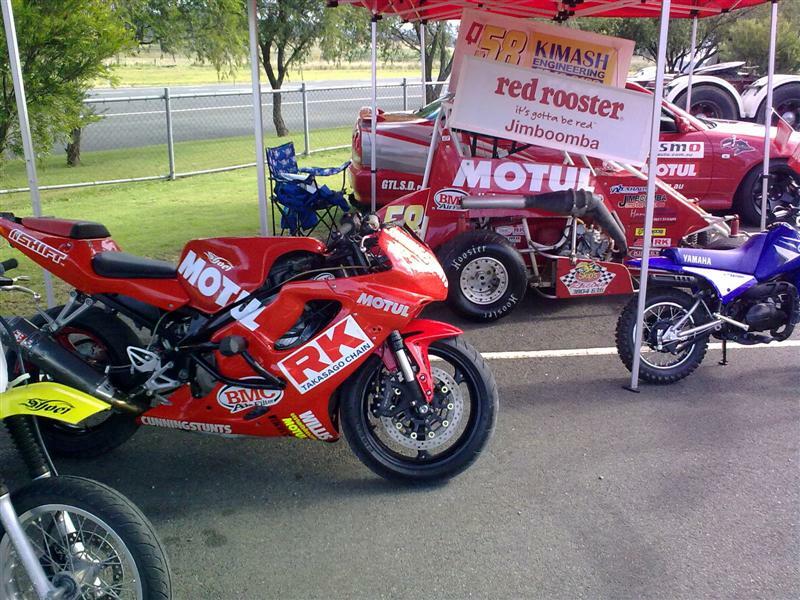 Even his dog Mojo got involved proudly sporting Motul and RK stickers.